There was one private servants room on the third floor of the Gordon-Roberts House. According to oral history during the Roberts family tenure, this room was for the head cook - the most valuable servant. 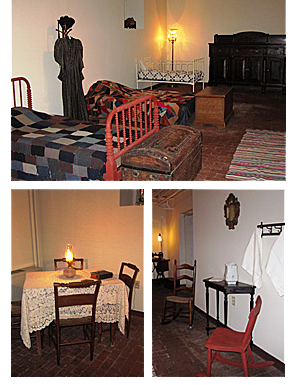 The room in the basement was provided for the other young women who lived in and worked for the family. Beds were shared and the room was sparsely furnished. The servants spent very little time in the room, since their workday was quite long.